People enjoying a raw food diet can have significantly higher levels of beta-carotene, which is commonly associated with disease prevention, according to a study by the University of Giessen. In fact, being on a raw food diet is the best possible thing you can do for your mind, body and your health. But without taking a little extra care, you can experience some trouble with your teeth. After all, the advantage of a raw food diet is that it draws out toxins in the body. However, these can increase the toxins and acids in your mouth temporarily and potentially expose any existing oral health issues you may not even know about. But there is plenty you can do to protect your tooth health and you may even find that your teeth and gums soon become healthier than before you started your raw food diet. 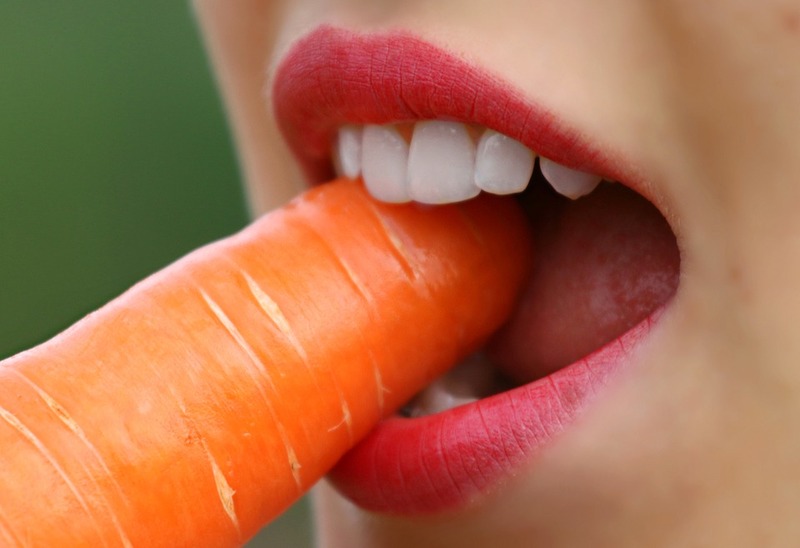 When you are on a raw food diet, the usual rules still apply when it comes to dental hygiene; eat a variety of foods and brush for two minutes, twice a day. But you do also need to be a little more mindful of what you eat and when and how you eat. You should try to avoid snacking too often and limit the number of acidic foods that you eat, such as tomatoes and oranges, and sticky, sugary foods, including dried fruits and dehydrated foods. Try to have them in meals instead. When you have finished your meal, make sure you always rinse with water to wash away the sugars and acids. You can even enjoy a raw food diet while wearing a brace. You just need to take a little bit of extra care with the way you eat and your dental hygiene. Avoid eating large, hard pieces of fruit and vegetables by cutting it up into much smaller chunks and using your stronger back teeth to chew. You can even still eat nuts, just avoid large nuts and opt for ground or flaked nuts instead. If you enjoy drinking juices or smoothies whether you wear a brace or not, only have one smoothie or juice each day and always drink it with a straw so the liquid doesn’t touch your teeth. Your teeth need phosphorus and calcium to replace lost minerals. Furthermore, you need vitamin K and D to enable your body to be able to effectively absorb and carry the calcium. Fortunately, many raw foods provide these, especially celery, carrots, nuts, almonds, green vegetables and firm and crunchy fruits like pears and apples. In fact, if you take a little care with how you eat the fruit and vegetables, you should not have to worry about cutting out any fruits or vegetables from your diet at all. If you are already enjoying a raw food diet or perhaps you are about to start, don’t wait until you are experiencing problems with your teeth before you take any action. Being proactive, practicing good dental hygiene and giving your teeth the nutrients they need, you will be able to enjoy the full benefits of raw foods without any worries about your oral health in the future. Jen Michaels is a freelance writer and editor who specializes in nutrition and wellness topics. 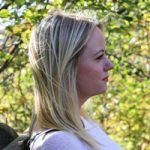 She worked in PR for a sustainability charity before moving into the freelance world and has a real passion for cleaning up planet earth. When not at work Jen loves cooking, gardening and enjoying the great outdoors.